What Are the Different Retirement Accounts? Subject: What Are the Different Retirement Accounts? Americans are dangerously underprepared for retirement. According to the Federal Reserve's Report on the Economic Wellbeing of U.S. Households, the average American has less than $60,000 saved in their retirement accounts. What's more, 31% of Americans have absolutely nothing saved for retirement. Of that group, 19% are between the ages of 55 and 64. The report also says 24% of Americans have given "only a little thought to financial planning for their retirement," while 25% "had done no planning at all." With so many Americans ill-prepared for retirement, Money Morning can help. We'll start by answering one of the most commonly asked questions about retirement: "What are the different retirement accounts?" Whether you're well on your way to retirement or are just starting your retirement planning, there are always ways to more effectively grow your nest egg. 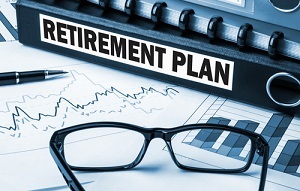 Employer-sponsored 401(k) and 403(b) plans are the most popular retirement accounts. The two plans are very similar, but a 401(k) is provided by for-profit organizations. A 403(b) is provided by tax-exempt corporations like hospitals, schools, or religious groups. Each account is named after the section of the tax code they fall into. Through these retirement accounts, money is withheld from the employee's paycheck and is directly deposited into the plan. The contribution is made on a pre-tax basis; it is not taxed until the money is withdrawn. Those under the age of 50 can save up to $18,000 per year pre-tax in 2015. Those over the age of 50 can save up to $24,000 per year pre-tax. If you leave your job, contributions can be easily rolled over into the new employer's plan. However, withdrawals from these accounts by anyone under the age of 59-and-a-half are subject to a withdrawal penalty. In many cases, the employer will match the employee's contribution up to a certain percentage point. If your employer will match a portion of your contribution, a 401(k) or 403(b) might be the right retirement account for you. Hi Kyle, thanks for sharing us this informative article and taking time answering common questions about retirement. Even though information can easily be accessed online, still a lot of people lacks knowledge about certain aspects of retirement, just like the topic that you have discussed. We still need to educate them to help them plan their golden years and maximize their potential benefits. Hope you can discuss about long term care planning and long term care insurance in the future too.